As a team oriented design firm, Richard Peterson Design is in it's third decade of successfully following the philosophy of producing the best possible design solutions for our clients within their strict economic guidelines. We are committed to creating the most practical and aesthetic solutions for each client's unique requirements and environment. It is our commitment to listen to our clients; to manage each assignment with the best systems appropriate; and to deliver projects with excellence in design, concern for the environment, knowledge of practical technology, and an understanding of cost and sensitivity to schedules. Under the direction of Richard Peterson, Richard Peterson Design provides quality, personalized and fair priced architectural and interior design and construction services, including the popular design-build method of project delivery. 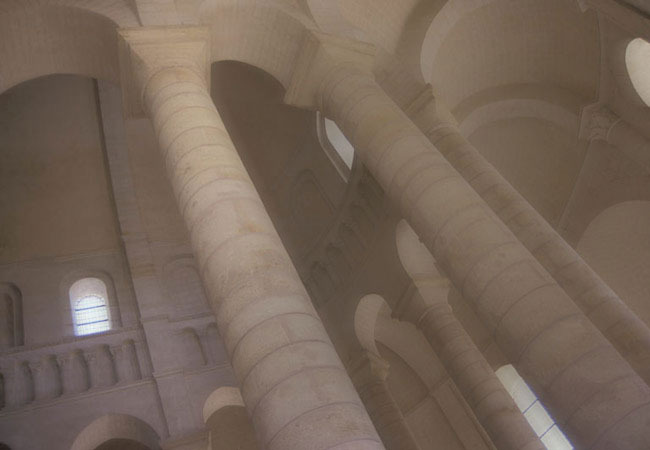 Richard Peterson is a member of the American Institute of Architects and the Design-Build Institute of America. 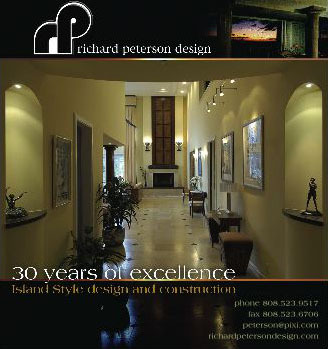 Richard Peterson Design has performed award winning projects in Hawaii, projects nationally, and in Asia. Our projects have been published in Honolulu Magazine, Island Home Magazine, Home and Garden Magazine, and Hawaiian Style Magazine. Our projects are small and large, commercial and residential, new and remodel.